Travelling to far-away places introduces me to unknown occupations. It’s said we should air our beds from time to time, and that’s probably because we don’t have a mattress shaker. The man knocks at your door and you give him your bedding. 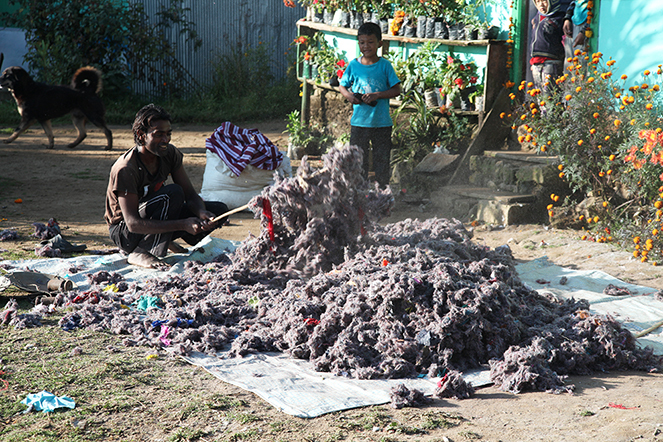 He begins by unpicking the stitching; then, using a stick, he mixes up all the stuffing – raw cotton in this case – before placing it back in the mattress, which he stitches up again. All ready for a good night’s sleep.